India is a country known for its unity in diversity & this diversity can be observed even in the education standards across different tiers of cities in India. The cities in India are classified based on HRA (House Rent Allowance) into Class X, Y and Z; usually known as Tier-1, Tier-2 and Tier-3 respectively. Another classification is based on the population is also carried out. Currently 8 cities are classified as Tier-1, which include Bangalore, Chennai, Delhi, Mumbai, Hyderabad, Kolkata and Pune. The list of Tier-2 cities is long, for example, Agra, Lucknow, Jaipur, Chandigarh, Nagpur, etc. All the other smaller cities fall under Tier-3 category. Tier-1 cities are based on better standards of living, exposure and job opportunities. But slowly and gradually, Tier-2 and Tier-3 cities are also emerging as some of the fastest growing cities in the planet. These cities are coming up with better job options. They are also offering better education opportunities. Some of the factors responsible for this rapid development of Tier-2 and Tier-3 cities are rapid income growth, growing urbanization, younger population and availability of skilled labour. 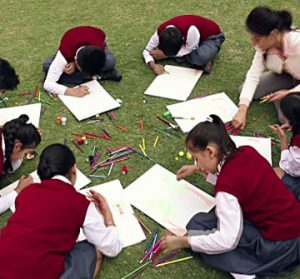 Experts at Sudhir Memorial Institute Liluah, one of the top CBSE schools in Howrah, conclude that these exponentially growing factors are the key business growth factors in these cities. A visible change is also being witnessed in the education sector. For example, Jaipur, a Tier-2 city, is rapidly emerging as an education hub. Numerous private sector institutes and universities setting themselves up in the city. Jaipur boasts of having up to 22 universities in the city itself, thereby exceeding the number of universities that megacities like London and New York possess. It is predicted that world class education is likely to be one of the major points of attraction for Jaipur in the future. Another such great example is Nagpur with over 80 colleges offering courses across a number of disciplines, including medical, engineering, arts and business administration. Education is one of those sectors which supports the backbone of economy. For a rapidly developing country like India, it has become an indispensable part of the growing financial system. A significant improvement can be seen in the education facilities throughout the country. This is especially true in the Tier-2 and Tier-3 cities owing to setting up of new ‘world schools’. They have excellent infrastructure and focus on overall development of students. This is a great indicator for a developing nation like ours. This is because the difference in education standards across various tiers of cities is gradually narrowing.